When it comes to the elderly and driving, this is a difficult situation for law enforcement and lawmakers to handle. There aren’t any laws out there that dictate at what age a person must stop driving like there are those that dictate when a person is allowed to begin driving. There are thousands of accidents every year in Florida that involve elderly drivers. It’s known that the elderly drive less often than younger people, but they have more car accidents per mile driven. Elderly drivers tend to suffer from more health problems compared to younger drivers, which is what puts them at such a high risk for accidents at their age. Some of the health problems that affect an elderly person’s ability to drive include taking multiple medications that can cause drowsiness, arthritis, dementia, sleep apnea, glaucoma and many others. Even though it was mentioned earlier that there are no state laws in place that prevent an elderly person from driving, there are some laws out there that make it harder to renew a license at older ages. These laws include making drivers of a certain age renew their license more often compared to younger drivers, taking vision tests every so many years and many other items. Whether an elderly driver caused a fatal crash or an elderly was killed in one, you will want to know the course of action you can take as a family member. When it comes to wrongful death, the surviving spouse of a loved one killed in an accident can file a lawsuit. The same goes for the surviving children of the elderly driver who lost their life in such an accident. Wrongful death lawsuits provide surviving families with the opportunity to collect compensation for damages incurred in the crash, such as pain and suffering, lost wages, and loss of consortium. There is usually a lack of limited damages in a wrongful death case involving an elderly driver due to their lack of income. Most elderly drivers are past the retirement age, so there isn’t much money to collect for lost wages or future loss of income. Accidents involving the elderly can be prevented if the adult children of the elderly driver take action. Try to talk with your parent or grandparent about the dangers of driving at an older age. If they are seriously dangerous drivers and refuse to stop driving you might need to take matters into your own hands and take their keys from them. It’s also important not to loan your vehicle to an elderly relative who is no longer a safe driver or who has too many health issues to drive safely. Depending on the laws, you very well could be held liable for any damages caused by an elderly driver who borrowed your car and was involved in an accident. This is what’s known as negligent entrustment because you negligently entrusted your vehicle with the elderly driver who no longer could drive in a safe manner. 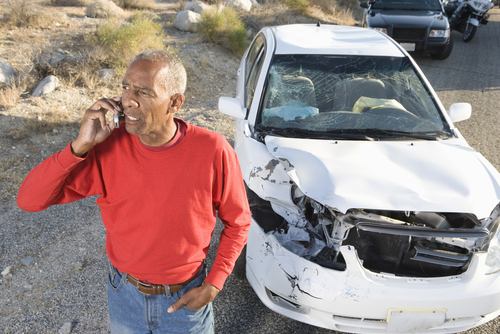 Did you or a loved one sustain serious injuries due to an elderly driving accident in Florida? Don’t let the medical bills pile up while you wait for the negligent party, or their insurance company, to do the right thing. Right now, you need an aggressive personal injury attorney on your side, fighting to get you the compensation you need, want, and deserve. The skilled attorneys at Gonzalez & Cartwright, P.A. represent clients injured because of elderly car accidents in Fort Lauderdale, West Palm Beach, Hollywood, Boca Raton, and throughout Florida. Call (561) 533-0345 or email us to schedule a free consultation about your case. We have an office conveniently located at 813 Lucerne Ave, Lake Worth, FL 33460, as well as offices in Pompano Beach.